Well, Brad, we haven’t killed anything yet. Really, that’s the best report that can come from non-gardeners like us. True story: On Friday evening when I went out to mow the severely-neglected grass at 7 p.m., my dear neighbor offered to help. Pride to the side, I accepted. The rain has helped everything blossom. 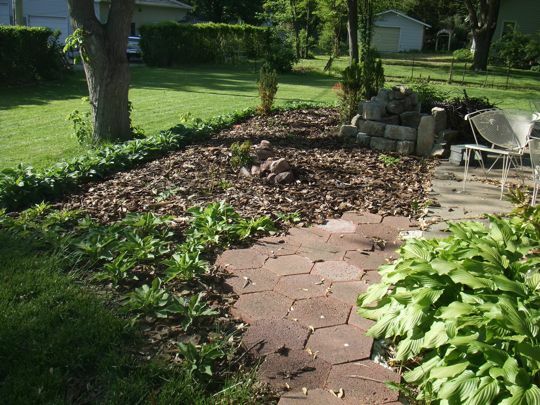 The hostas you planted in the backyard are coming back, though there are a bunch of dandelions in the mulch that need to be pulled. The lamb’s ear is growing like mad, as well. They were the first things to perk up when spring came. This photo was taken today, when it was rainy, but these things have some pink flowers on them and are quite lovely! The peonies are doing great in their transplanted location, too. They have small buds now. 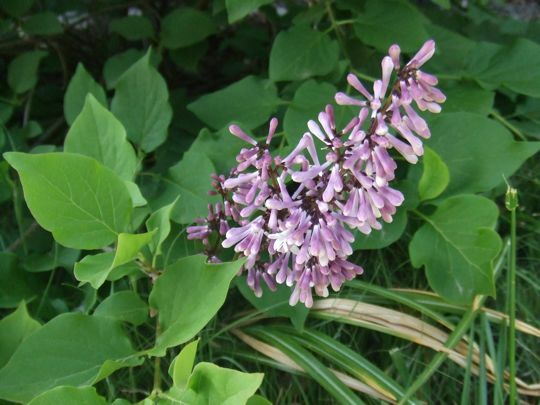 The lilac bush has blossoms on it, but they are oddly free of scent. Maybe they need to open a bit more? That’s it for now. Thank you for being such a wizard in the garden. 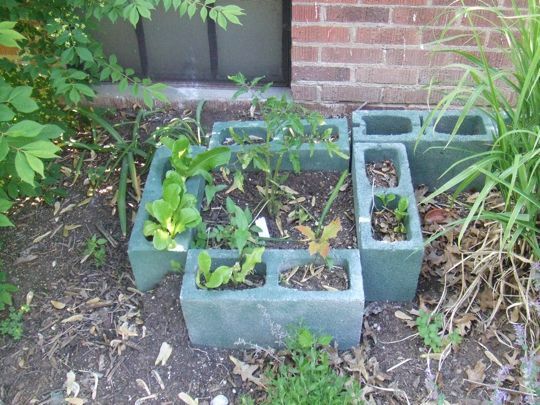 I think it might be time to write that book – “Stuff That Will Survive Lauren/Gardening for Idiots”. 1. I think you still have some RoundUp in the shed. It’s the easiest way to get rid of dandelions. Or just leave them. I’ll need something to do when I get there. 2. 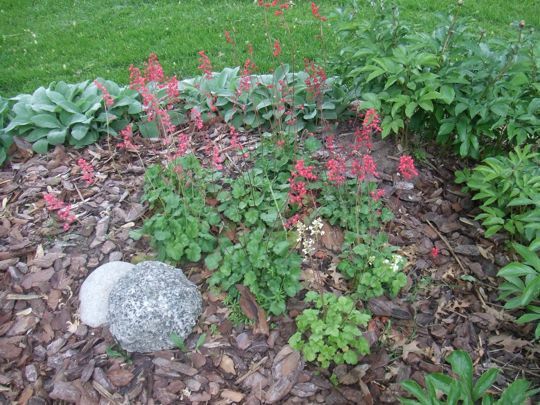 Is there one plant among those pink-flowering plants with white flowers? I’ll sue WalMart for false advertising! 4. You’re right. The lilac flowers haven’t opened yet. Maybe the white ones are just really, really scared. UPDATE: The lilacs started to open today! I sat outside after a meeting this evening and jammed them in my nose. Lauren, you’re garden is fabulous!!! I do so covet it! Along with the fire pit! Bring on the marshmellows! They’re the only 2 plants I have.